Push through your plateaued gains with my H3P 10-week program. Three principles for 3X the results. Hypertrophy 3 Principle Training is a 10 week periodized program utilizing progress overload and a variety of training techniques that are guaranteed to grow your arms faster than any arm program on the market. The biggest thing I’ve learned over the years is how to manipulate the 3 primary principles of hypertrophy to stimulate the most growth possible in a short period of time. What is the H3P Program? Sign me up for the H3P Program! I'm Ready To Experience Bigger Arms! The break down and re-building of muscle tissue is an integral step to achieving gains in size. By focusing on the eccentric phase of the lift and adding extended sets we will maximize muscle damage for optimal growth. Metabolic by-product accumulation is another major player in the hypertrophic process. This is what is happening when you feel the "Pump" or "Burn" during a workout. We have properly placed these workouts to maximize results and avoid overtraining. Putting your muscle under tension with the heaviest weight possible for the optimal period of time. Knowing the correct sets and rep schemes is the only way to maximize your results. "Since the beginning of my career in the fitness industry, my arms have always been one of my strongest body parts and most people write that off as genetics. Trust me, I wasn’t born with big arms, I earned them. I’ve been fine-tuning the best techniques to grow my arms since I was an eleven-year-old." Most people are shocked when they first look at the H3P protocol. The sheer volume of the program seems like too much to handle. But that is why it works so well. I’ve manipulated the volume in a way to give you the best results without overtraining or getting nagging injuries. You will be switching up the exercises week to week and utilizing de-load weeks and our recovery program to ensure that you never plateau throughout the 10 weeks. "Upon doing this program, I feel empowered, educated, I feel STRONG, I feel like a true SWOLDIER. I owe it all to this program and MY MAN Steve Cook." "In this program, I got stronger, more athletic, functional, and my body looks it's best at 5% body fat. Thanks Steve Cook!" "Sorry to see this challenge end, you guys were awesome, amazing community. Looking forward to the next program!" "Down 21lbs and 6% Body Fat since I started this challenge! Couldn't be happier with the results." "Finished the 10-week H3P arms program today by Steve Cook and Fitness Culture. It was incredible with video guides for every exercise and every training technique explained. Highly recommend it. Will definitely be coming back to this again 💪"
"Almost finished with the H3P Arms Program. Only 1 more week to go but seeing some definite results 👌💪"
"H3P Arm Program - Finally completed my first ever program! I was quite skeptical in general about purchasing fitness programs. However, the results I got from doing this program are astonishing! Each week is guaranteed to make your arms sore and you will notice some growth through the process. I enjoyed every workout he put out there and the biggest arm pump I got was from it!" "After 10 weeks, I can say I am completely impressed with this program. H3P Arms did the trick and put a solid inch on my arms in 10 weeks." *results may and will vary from person to person. 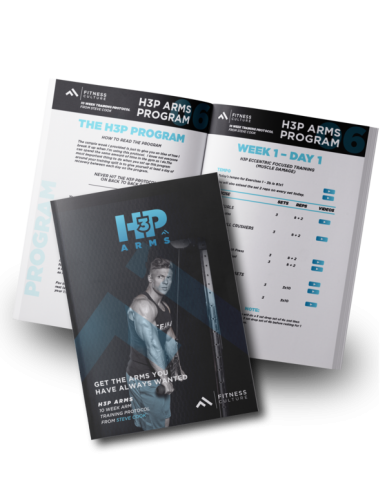 This truly is the most comprehensive arm program you’ve ever seen. So I’m going issue you this challenge - If you follow this program and don’t get big-time results, I’ll refund your money. 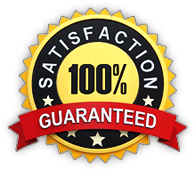 We want you to be 100% happy with the H3P program. So after 10-weeks of this intense program, you're not satisfied, no problem. We'll issue you a full refund. No questions asked. No hoops to jump through. Break the routine and experience expert programming and coaching. Show up everyday to the gym, give 100% and stay on your diet. If you do that for 10 weeks, I guarantee you'll see results.